Discussion in 'Build Logs' started by Wyd4, Feb 8, 2019. 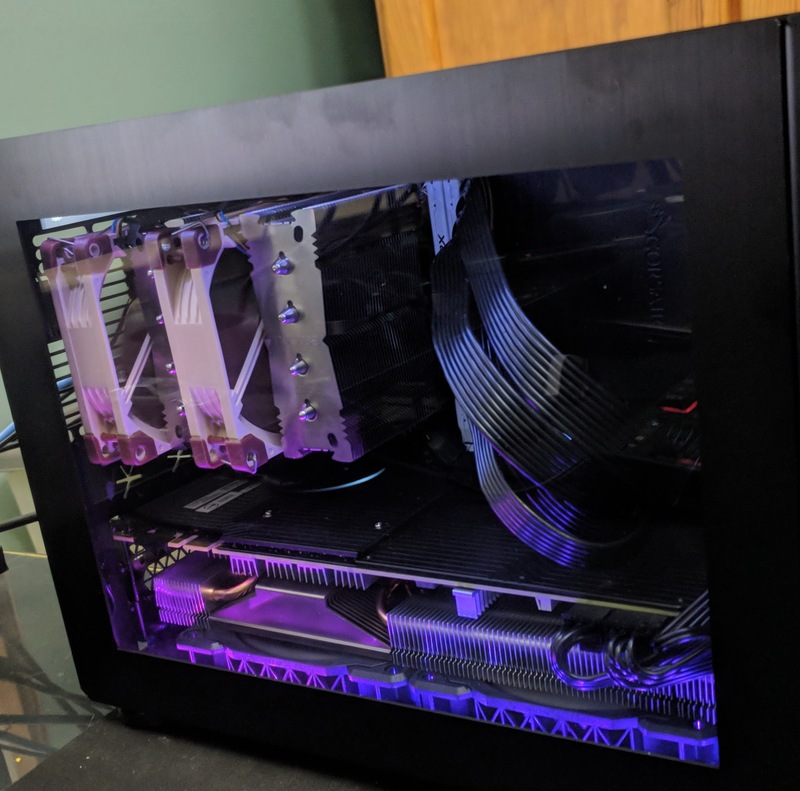 This is less of a build log and more of a change log as I was never one to take pictures along the way, not really realizing it was a thing that people did. 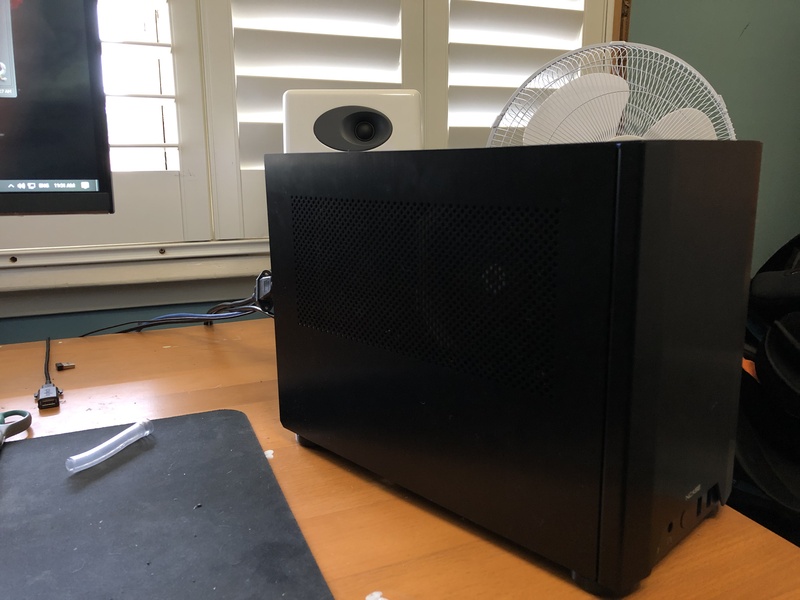 I have always liked smaller PC's. 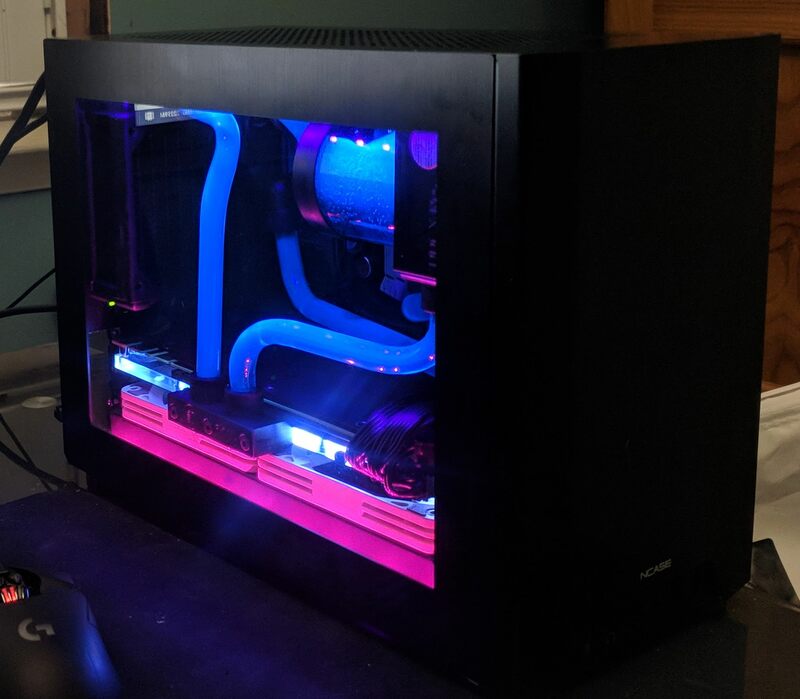 My last build prior to this was a Silverstone Fortress mATX build with an at the time brand new i5 2500k and GTX560ti and subsequently a GTX760. 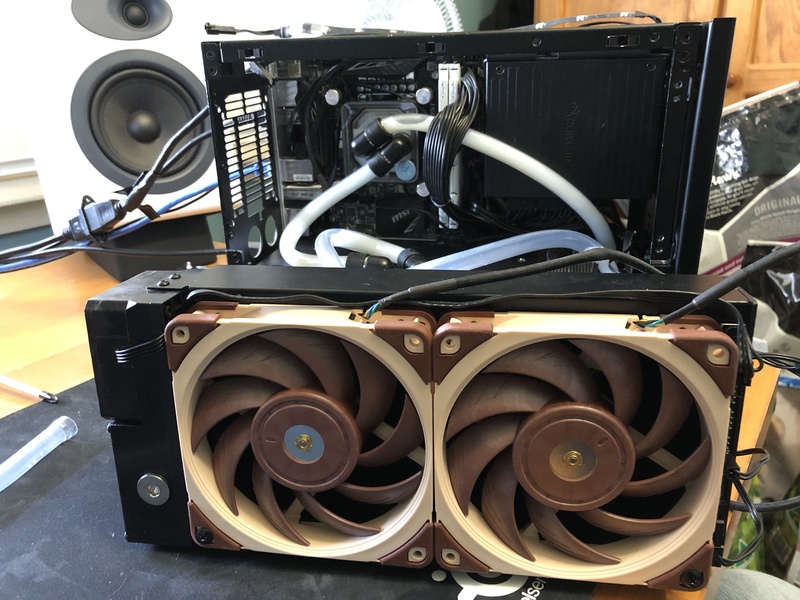 i5 2500k w/ Noctua U9SE cooler (I cant remember the overclock I was running now, but it was solid for many many years. I was happily ignorant, having not played many PC games since getting married until my friend introduced me to Farcry 5.... You know who you are! This resulted in me purchasing a GTX1080 mini from zotac and all of a sudden my frame rates were acceptable, but I now had the bug. 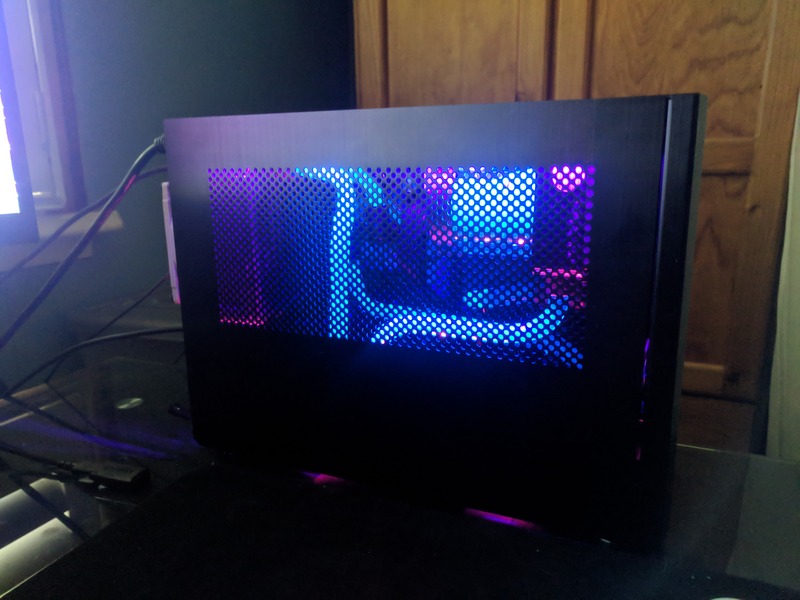 Next I purchased an NZXT H200i but ultimately, while it looked ok, it was way too big. 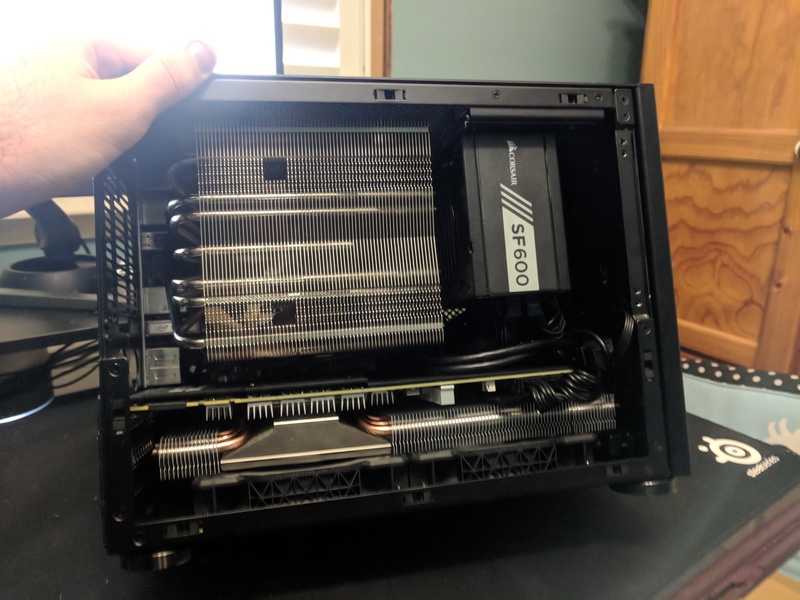 So I did some research and an ncase M1 found its self my way. 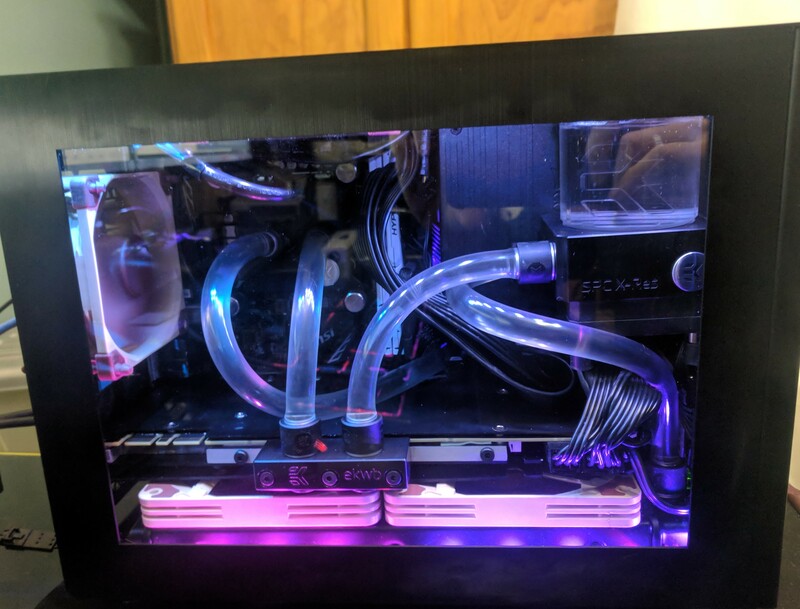 I found this to be quite adequate but I still had the bug and truth be told (as funny as this will seem by the end of this post, I didn't like how cramped everything was from the AIO, so I looked into both water cooling and air. After realizing there were no GPU blocks available for the GTX1080 mini, I did what any sane person would do and purchased a 1080ti Founders card. 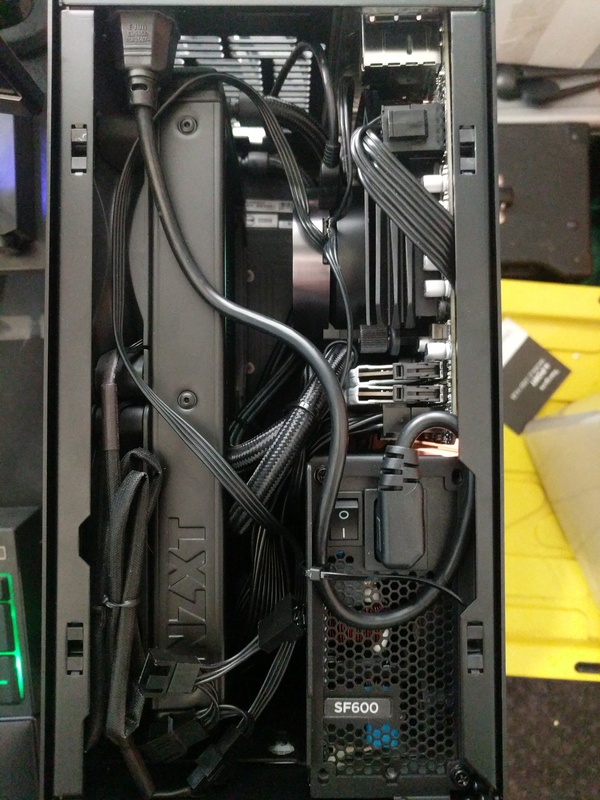 I must say I was pretty stoked with both of the above setup's, which netted similar results in the ncase. But now I wanted to try something new, so I went out and purchased the EK Fluid Gaming kit AND an 8700k i7 processor. 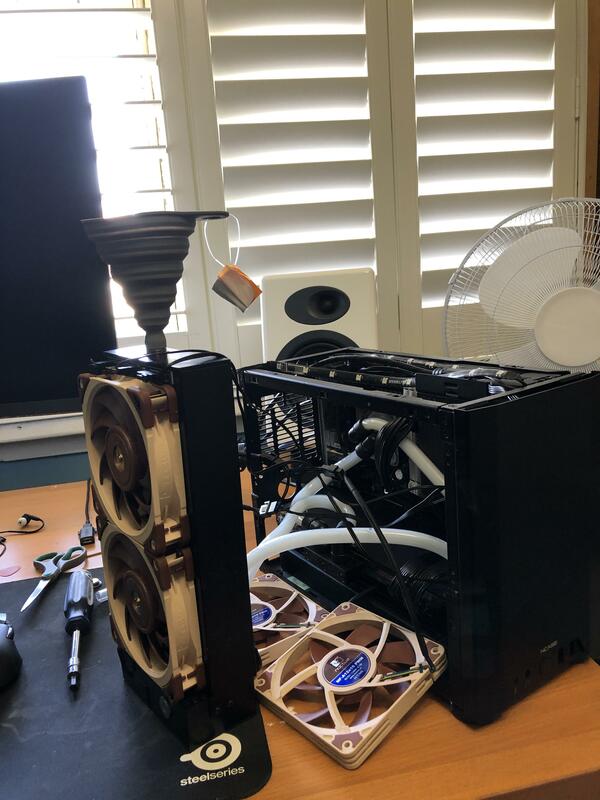 This worked out great and was a really good way to get a feel for watercooling but to be honest the thermal results were disappointing. 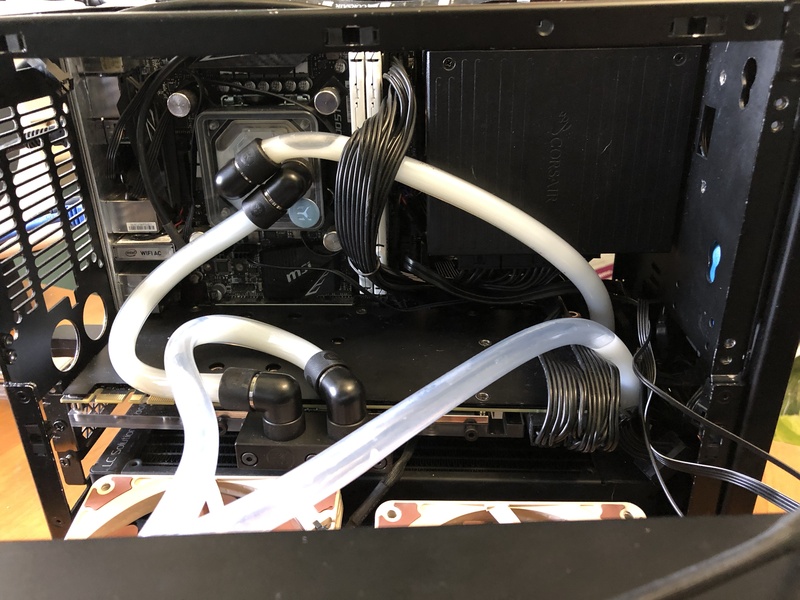 Given I had never watercooled before I was pretty stoked with how it looked for a soft tube kit, but honestly disappointed that it was louder and hotter than on air. 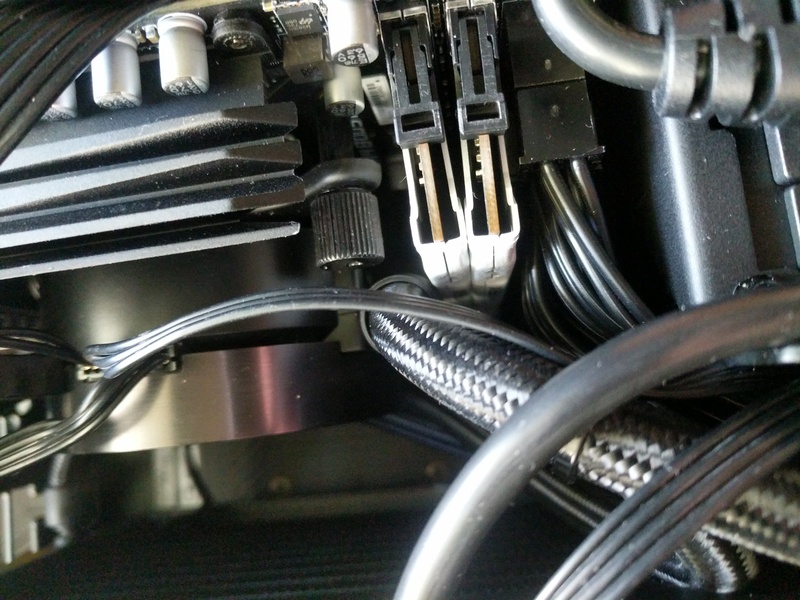 So naturally, I went and dropped about $700 on watercooling parts and started again. 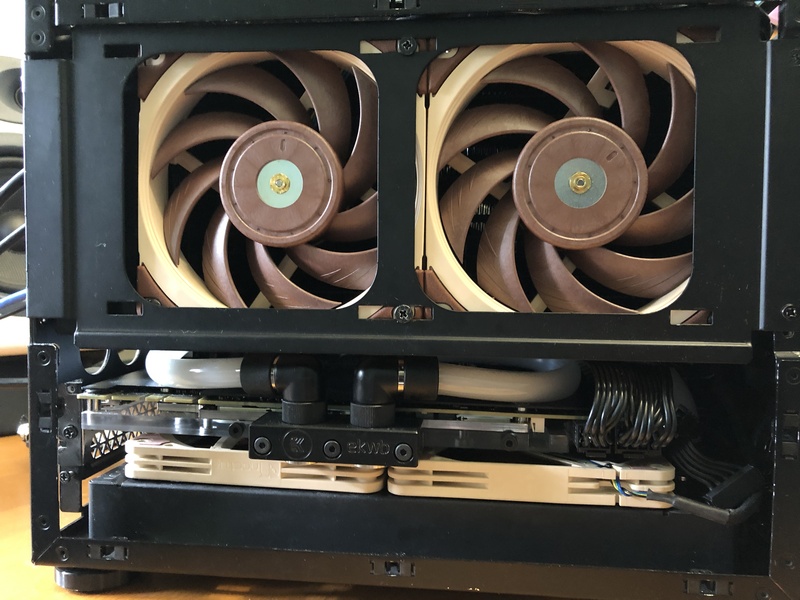 Adding the 92mm radiator definitely helped, along with the more powerful DDC3.2 pump and I now had a much more quiet machine, though temps were still average at best. 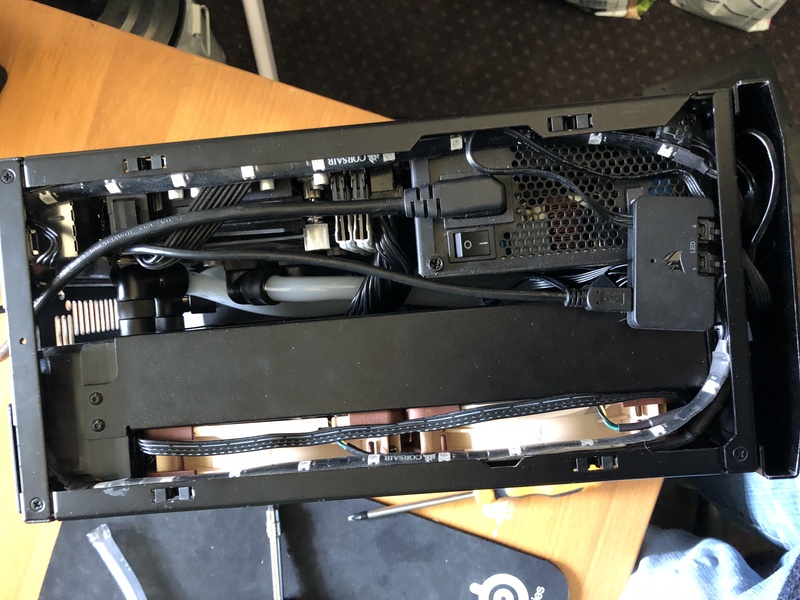 So I delidded the i7 and added an external 480mm radiator under the desk. The results were AMAZING really. I was able to run the CPU at 5.2ghz with no real concerns on thermals and still an almost completely SILENT machine. 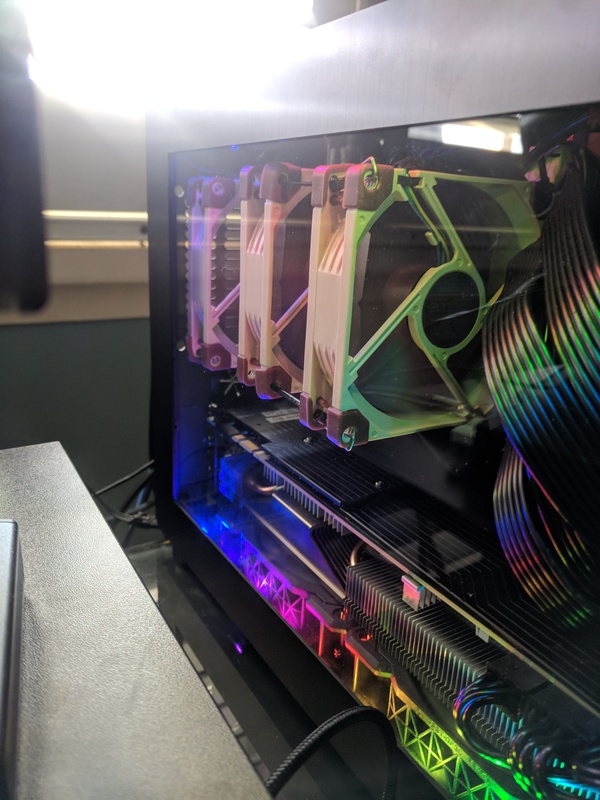 As you would expect with 240+480+92MM of radiator on a single GPU setup. BUT the 480 bothered me and it was a disaster when I had to move the PC etc etc. And so here we are, the current setup. 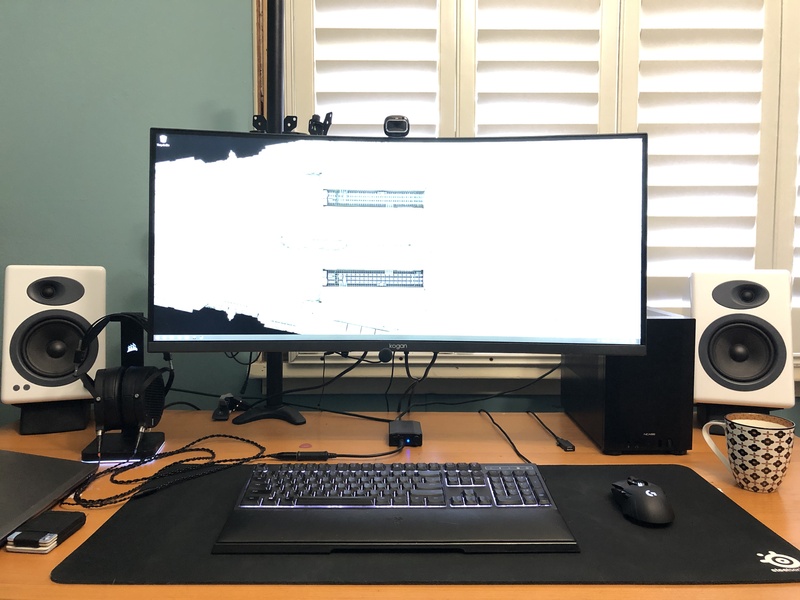 Forgive the messy desk, I need to sort out cable management on the desk, however due to working on a corporate laptop and constantly switching peripherals I need to put some extra thought into it. The results are great, but if I would change and probably will change is I will swap in my DDC3.2 pump into the predator, as the current pump can be a bit noisy at the required RPM to keep things moving. 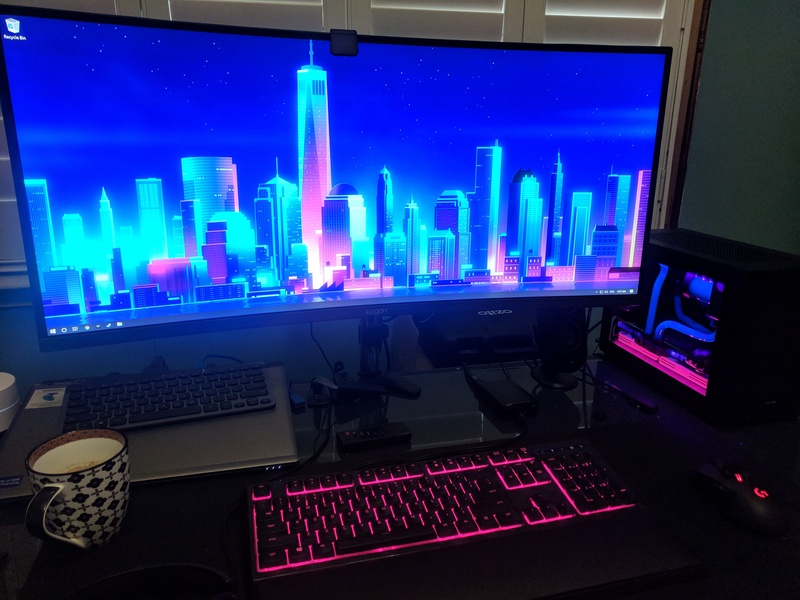 I think I am going to sit on this setup for a while. I was tempted to go with a ghost, however with 2 radiators in the Ghost it would actually be taller than the n1 anyway. riktanius, gotcha43, Phuncz and 1 other person like this. I was considering upgrading to the Cerberus but the $130usd postage is a little cost prohibitive on an already premium case. Well done cramming two 240mm rads into the M1! Haha, I though exactly the opposite when I saw the picture! You better not see my desk then, even if cleaned it's already a mess the day after! First time I see a Kogan monitor btw, found out it's an aussie brand right? Too bad they are not available here in EU as the prices seem very competitive!